As emotionally charged and smugly dismissive as these comments are, they take a back seat to the blistering article that author, atheist, and neuroscientist Sam Harris posted on his website. Aside from the strident accustations that Harris leveled against Dr. Alexander, what made Harris’s article particularly unseemly was that Harris launched his attack without having read Alexander’s book — and then, after being invited to debate Alexander, refused to do so. Alex Tsakiris of Skeptico, who attempted to set up a debate between Harris and Alexander, provides a nice summary of how this whole saga unfolded. 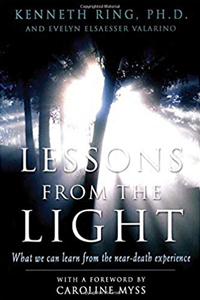 You can listen to Tsakiris’s enlightening overview here (MP3) — or read about it below. To flesh this situation out in detail, I am including the article Harris wrote, followed by the illuminating information that Tsakiris has posted on his website. Well, I intend to spend the rest of the morning sparing him the effort. Whether you read it online or hold the physical object in your hands, this issue of Newsweek is best viewed as an archaeological artifact that is certain to embarrass us in the eyes of future generations. Its existence surely says more about our time than the editors at the magazine meant to say — for the cover alone reveals the abasement and desperation of our journalism, the intellectual bankruptcy and resultant tenacity of faith-based religion, and our ubiquitous confusion about the nature of scientific authority. The article is the modern equivalent of a 14th-century woodcut depicting the work of alchemists, inquisitors, Crusaders, and fortune-tellers. I hope our descendants understand that at least some of us were blushing. As many of you know, I am interested in “spiritual” experiences of the sort Alexander reports. Unlike many atheists, I don’t doubt the subjective phenomena themselves — that is, I don’t believe that everyone who claims to have seen an angel, or left his body in a trance, or become one with the universe, is lying or mentally ill. Indeed, I have had similar experiences myself in meditation, in lucid dreams (even while meditating in a lucid dream), and through the use of various psychedelics (in times gone by). I know that astonishing changes in the contents of consciousness are possible and can be psychologically transformative. But Alexander’s account is so bad — his reasoning so lazy and tendentious — that it would be beneath notice if not for the fact that it currently disgraces the cover of a major newsmagazine. Alexander is also releasing a book at the end of the month, Proof of Heaven: A Neurosurgeon’s Journey into the Afterlife, which seems destined to become an instant bestseller. As much as I would like to simply ignore the unfolding travesty, it would be derelict of me to do so. But first things first: You really must read Alexander’s article. What it means to be a “faithful Christian” without “actual belief” is not spelled out, but few nonbelievers will be surprised when our hero’s scientific skepticism proves no match for his religious conditioning. Most of us have been around this block often enough to know that many “former atheists” — like Francis Collins — spent so long on the brink of faith, and yearned for its emotional consolations with such vampiric intensity, that the slightest breeze would send them spinning into the abyss. For Collins, you may recall, all it took to establish the divinity of Jesus and the coming resurrection of the dead was the sight of a frozen waterfall. Alexander seems to have required a ride on a psychedelic butterfly. In either case, it’s not the perception of beauty we should begrudge but the utter absence of intellectual seriousness with which the author interprets it. Everything — absolutely everything — in Alexander’s account rests on repeated assertions that his visions of heaven occurred while his cerebral cortex was “shut down,” “inactivated,” “completely shut down,” “totally offline,” and “stunned to complete inactivity.” The evidence he provides for this claim is not only inadequate — it suggests that he doesn’t know anything about the relevant brain science. Perhaps he has saved a more persuasive account for his book — though now that I’ve listened to an hour-long interview with him online, I very much doubt it. In his Newsweek article, Alexander asserts that the cessation of cortical activity was “clear from the severity and duration of my meningitis, and from the global cortical involvement documented by CT scans and neurological examinations.” To his editors, this presumably sounded like neuroscience. The problem, however, is that “CT scans and neurological examinations” can’t determine neuronal inactivity — in the cortex or anywhere else. And Alexander makes no reference to functional data that might have been acquired by fMRI, PET, or EEG — nor does he seem to realize that only this sort of evidence could support his case. Obviously, the man’s cortex is functioning now — he has, after all, written a book — so whatever structural damage appeared on CT could not have been “global.” (Otherwise, he would be claiming that his entire cortex was destroyed and then grew back.) Coma is not associated with the complete cessation of cortical activity, in any case. And to my knowledge, almost no one thinks that consciousness is purely a matter of cortical activity. Alexander’s unwarranted assumptions are proliferating rather quickly. Why doesn’t he know these things? He is, after all, a neurosurgeon who survived a coma and now claims to be upending the scientific worldview on the basis of the fact that his cortex was totally quiescent at the precise moment he was enjoying the best day of his life in the company of angels. Even if his entire cortex had truly shut down (again, an incredible claim), how can he know that his visions didn’t occur in the minutes and hours during which its functions returned? As is obvious to you, this is truth by authority. Neurosurgeons, however, are rarely well-trained in brain function. Dr. Alexander cuts brains; he does not appear to study them. “There is no scientific explanation for the fact that while my body lay in coma, my mind — my conscious, inner self—was alive and well. While the neurons of my cortex were stunned to complete inactivity by the bacteria that had attacked them, my brain-free consciousness …” True, science cannot explain brain-free consciousness. Of course, science cannot explain consciousness anyway. In this case, however, it would be parsimonious to reject the whole idea of consciousness in the absence of brain activity. Either his brain was active when he had these dreams, or they are a confabulation of whatever took place in his state of minimally conscious coma. There are many reports of people remembering dream — like states while in medical coma. They lack consistency, of course, but there is nothing particularly unique in Dr. Alexander’s unfortunate episode. I guess one could always argue, “Well, your brain was probably just barely able to ignite real consciousness and then it would flip back into a very diseased state,” which doesn’t make any sense to me. Especially because that hyper-real state is so indescribable and so crisp. It’s totally unlike any drug experience. A lot of people have come up to me and said, “Oh that sounds like a DMT experience,” or “That sounds like ketamine.” Not at all. That is not even in the right ballpark. Those things do not explain the kind of clarity, the rich interactivity, the layer upon layer of understanding and of lessons taught by deceased loved ones and spiritual beings. I was a speck on a beautiful butterfly wing; millions of other butterflies around us. We were flying through blooming flowers, blossoms on trees, and they were all coming out as we flew through them… [there were] waterfalls, pools of water, indescribable colors, and above there were these arcs of silver and gold light and beautiful hymns coming down from them. Indescribably gorgeous hymns. I later came to call them “angels,” those arcs of light in the sky. I think that word is probably fairly accurate…. Then we went out of this universe. I remember just seeing everything receding and initially I felt as if my awareness was in an infinite black void. It was very comforting but I could feel the extent of the infinity and that it was, as you would expect, impossible to put into words. I was there with that Divine presence that was not anything that I could visibly see and describe, and with a brilliant orb of light…. They said there were many things that they would show me, and they continued to do that. In fact, the whole higher-dimensional multiverse was this incredibly complex corrugated ball and all these lessons coming into me about it. Part of the lessons involved becoming all of what I was being shown. It was indescribable. But then I would find myself — and time out there I can say is totally different from what we call time. There was access from out there to any part of our space/time and that made it difficult to understand a lot of these memories because we always try to sequence things and put them in linear form and description. That just really doesn’t work. Under the influence of DMT, the world becomes an Arabian labyrinth, a palace, a more than possible Martian jewel, vast with motifs that flood the gaping mind with complex and wordless awe. Color and the sense of a reality-unlocking secret nearby pervade the experience. There is a sense of other times, and of one’s own infancy, and of wonder, wonder and more wonder. It is an audience with the alien nuncio. In the midst of this experience, apparently at the end of human history, guarding gates that seem surely to open on the howling maelstrom of the unspeakable emptiness between the stars, is the Aeon. The Aeon, as Heraclitus presciently observed, is a child at play with colored balls. Many diminutive beings are present there — the tykes, the self-transforming machine elves of hyperspace. Are they the children destined to be father to the man? One has the impression of entering into an ecology of souls that lies beyond the portals of what we naively call death. I do not know. Are they the synesthetic embodiment of ourselves as the Other, or of the Other as ourselves? Are they the elves lost to us since the fading of the magic light of childhood? Here is a tremendum barely to be told, an epiphany beyond our wildest dreams. Here is the realm of that which is stranger than we can suppose. Here is the mystery, alive, unscathed, still as new for us as when our ancestors lived it fifteen thousand summers ago. The tryptamine entities offer the gift of new language, they sing in pearly voices that rain down as colored petals and flow through the air like hot metal to become toys and such gifts as gods would give their children. The sense of emotional connection is terrifying and intense. The Mysteries revealed are real and if ever fully told will leave no stone upon another in the small world we have gone so ill in. Alexander believes that his E. coli-addled brain could not have produced his visions because they were too “intense,” too “hyper-real,” too “beautiful,” too “interactive,” and too drenched in significance for even a healthy brain to conjure. He also appears to think that despite their timeless quality, his visions could not have arisen in the minutes or hours during which his cortex (which surely never went off) switched back on. He clearly knows nothing about what people with working brains experience under the influence of psychedelics. Nor does he know that visions of the sort that McKenna describes, although they may seem to last for ages, require only a brief span of biological time. Unlike LSD and other long-acting psychedelics, DMT alters consciousness for merely a few minutes. Alexander would have had more than enough time to experience a visionary ecstasy as he was coming out of his coma (whether his cortex was rebooting or not). Does Alexander know that DMT already exists in the brain as a neurotransmitter? Did his brain experience a surge of DMT release during his coma? This is pure speculation, of course, but it is a far more credible hypothesis than that his cortex “shut down,” freeing his soul to travel to another dimension. As one of his correspondents has already informed him, similar experiences can be had with ketamine, which is a surgical anesthetic that is occasionally used to protect a traumatized brain. Did Alexander by any chance receive ketamine while in the hospital? Would he even think it relevant if he had? His assertion that psychedelics like DMT and ketamine “do not explain the kind of clarity, the rich interactivity, the layer upon layer of understanding” he experienced is perhaps the most amazing thing he has said since he returned from heaven. Such compounds are universally understood to do the job. And most scientists believe that the reliable effects of psychedelics indicate that the brain is at the very least involved in the production of visionary states of the sort Alexander is talking about. Again, there is nothing to be said against Alexander’s experience. It sounds perfectly sublime. And such ecstasies do tell us something about how good a human mind can feel. The problem is that the conclusions Alexander has drawn from his experience — he continually reminds us, as ascientist — are based on some very obvious errors in reasoning and gaps in his understanding. Let me suggest that, whether or not heaven exists, Alexander sounds precisely how a scientist should not sound when he doesn’t know what he is talking about. And his article is not the sort of thing that the editors of a once-important magazine should publish if they hope to reclaim some measure of respect for their battered brand. Review of the recent controversy over the Newsweek magazine cover story, Heaven is Real, and Sam Harris’ response to an invitation to debate Dr. Eben Alexander regarding his near-death experience. Sam Harris: …There’s nothing to debate either. He can’t reasonably claim that the relevant parts of his brain (not just the cortex) were “completely shut down.” It’s just not a factual statement. Eben Alexander: Of course, it was premature for him to speak out based on the Newsweek article — he needs to at least read the book if he wants to avoid making embarrassing statements that he later regrets. Isolated preservation of cortical regions might have explained some elements of my experience, but certainly not the overall odyssey of rich experiential tapestry. The severity of my meningitis and its refractoriness to therapy for a week should have eliminated all but the most rudimentary of conscious experiences: peripheral white blood cell [WBC] count over 27,000 per mm3, 31 percent bands with toxic granulations, CSF WBC count over 4,300 per mm3, CSF glucose down to 1.0 mg/dl (normally 60-80, may drop down to ~ 20 in severe meningitis), CSF protein 1,340 mg/dl, diffuse meningeal involvement and widespread blurring of the gray-white junction, diffuse edema, with associated brain abnormalities revealed on my enhanced CT scan, and neurological exams showing severe alterations in cortical function (from posturing to no response to noxious stimuli, florid papilledema, and dysfunction of extraocular motility [no doll’s eyes, pupils fixed], indicative of brainstem damage). Going from symptom onset to coma within 3 hours is a very dire prognostic sign, conferring 90% mortality at the very beginning, which only worsened over the week. No physician who knows anything about meningitis will just “blow off” the fact that I was deathly ill in every sense of the word, and that my neocortex was absolutely hammered. Anyone who simply concludes that “since I did so well I could not have been that sick” is begging the question, and knows nothing whatsoever about severe bacterial meningitis. Sam Harris: And even if I granted that his brain had been shut down — it’s not shut down now. And there is absolutely no way for him to establish (or even to subjectively know) that he didn’t have his experience as his brain was coming back online. End of debate, as far as I’m concerned. Eben Alexander: Again, he needs to read the book. In fact, I know that my experience happened within coma because of certain anchors to earth time in memory. Of course the whole issue of how I remembered so much haunted me from the beginning — before my coma, I would have stated flatly that someone that sick would remember absolutely nothing. And I would have been totally wrong. Memory extends beyond physical brain and physical universe (again, clues from transpersonal psychology, which I knew nothing of before). And time flow in that realm is very different. I would advise the skeptics to contribute to a much broader understanding, instead of just trying to deny, if they’re up to the challenge. To any skeptic who thinks he has explained my experience as brain-based, he then needs to address the non-local nature of consciousness ~ the broad clinical experience in transpersonal psychology (notably all of the past life clinical work, the reincarnation work from Ian Stevenson and Jim Tucker at UVA; also very relevant in terms of how I remembered so much) and address the overwhelming tsunami of evidence of the phenomena of non-local consciousness in Irreducible Mind (edited by Ed Kelly et alia, 2007) and Consciousness Beyond Life (Pim van Lommel, 2009). Unfortunately, I’m too busy to consider it. I’m up against a book deadline — and really couldn’t afford the time I spent on that blog post, but I couldn’t seem to resist… The truth is, there’s nothing to debate either. He can’t reasonably claim that the relevant parts of his brain (not just the cortex) were “completely shut down.” It’s just not a factual statement. And yet, everything in his account hinges on his making that claim. And even if I granted that his brain had been shut down — it’s not shut down now. And there is absolutely no way for him to establish (or even to subjectively know) that he didn’t have his experience as his brain was coming back online. End of debate, as far as I’m concerned. Welcome to Skeptiko where we explore controversial science with leading researchers, thinkers, and their critics. I’m your host, Alex Tsakiris, and on this episode of Skeptiko we’re going to do something a little bit different. As you may have heard, Dr. Eben Alexander has a new book out. The book’s titled Proof of Heaven and Dr. Alexander is going to appear on Skeptiko next week in an interview we recorded a couple weeks ago. It’s about an hour-long interview all about the book, all about his amazing near-death experience and how it changed him from being a very skeptical, traditional neurosurgeon to become someone who is very interested and ultimately convinced by the reality of near-death experience science. So you’re going to hear from Dr. Alexander next week. But in the meantime, on October 8th, Newsweek Magazine published an article on the book and dedicated their front cover to this very provocative picture of this hand reaching up to Heaven. It’s all about the book and Dr. Alexander’s experience. Great news, right? Well, great news for everyone unless you’re a skeptic and an Atheist and really against this kind of science. So it only took a couple of days for the skeptics to marshal their response and they came out in unison. Really all of them delivering many of the same talking points. What I want to do today is break down some of those responses because I’ve actually had an email exchange with a couple of those respondents. Sam Harris, who of course is a very well-known author and Atheist. I’m also going to review the response from our old friend, Dr. Steven Novella, host of The Skeptics’ Guide to the Universe. And Huffington Post blogger and best-selling Atheist author, Dr. Vic Stenger. So I have quite a bit to cover. Stick around. It’s going to be interesting. And at the end I’m going to publish a written response that I have from Dr. Alexander. So let’s get right to it. The first response to the Newsweek Proof of Heaven article that I ran across was from Dr. Vic Stenger, who is very well-known in the Atheist community; one of the new Atheists. You’re going to hear a lot from Dr. Stenger coming up in a couple of weeks when I publish the interview that I had with him. Fascinating, fascinating stuff. You’ll really get a feel for where he’s coming from. I think the interview’s going to be quite controversial and I think you’ll really enjoy it. Dr. Stenger has also written a response on the Huffington Post to the Newsweek article on Dr. Alexander’s book. I’m just going to highlight one quick point from it because it really jumped out at me. Once you hear the interview with Vic, you’ll really be able to put this small quote into a larger context of where he’s coming from. Now, he’s a smart guy. A Ph.D., particle physics, good writer, comes across well. But when you really push him he kind of really goes way out there. And here is one of his primary critiques of Dr. Alexander in the email exchange that I had with him. Now keep in mind here that Dr. Eben Alexander is not only a neurosurgeon but received several fellowships from Harvard University, taught and researched neurosurgery at Harvard Medical School for 15 years. His curriculum vita is about as long as your arm. So I don’t know if this is just ignorance on Vic’s part or if he’s just blinded by this, oh-my-God, we have to respond to this near-death experience stuff in the strongest way possible. But it’s just a foolish thing to say. As a matter of fact, we’re going to talk in a minute about Sam Harris, who has a Ph.D. in neuroscience from UCLA but isn’t a practicing neuroscientist. And we’re going to talk about Steven Novella, who is a neurologist at Yale. So both of those guys are really highly qualified but I have to tell you if you really step back and look at it, Dr. Alexander’s qualifications for assessing the medical condition and the likelihood that this near-death experience happened the way that he said it does, his qualifications put him in a much better position for assessing that. I mean, this guy deals with these kinds of patients all the time and he understands the procedures that you go through. He understands what’s likely to happen, what’s not likely to happen. He’s reading the research; he’s publishing research on it. So that’s not to disrespect Novella or Harris; they’re certainly very qualified. And we have to take seriously their critiques, but it does draw into contrast just how far out of line Vic Stenger is when he says this. It’s just kind of curious and I think it further demonstrates how the skeptical Atheist mindset is so, so much like the Fundamentalist Christian mindset. It has a set of beliefs. It has this knee-jerk reaction to it, and it just can’t get outside of itself to look at the obvious foolishness of some of these statements. At least that’s my take from this, “He’s a surgeon, not a neuroscientist. What should he know?” Yeah, what should he know? So let’s move on to the second critique of this article in Newsweek, and it comes from our old friend, Dr. Steven Novella, who as I just mentioned is a clinical neurologist at Yale and he’s also the host of a very skeptical podcast called The Skeptics’ Guide to the Universe. Now, a lot of people really like Steve. He has this really nice bedside manner persona that comes across and he’s obviously a very smart guy. If you’ve followed Skeptiko for very long, you know that Dr. Novella has been on this show a couple times and I’ve appeared on his show once. You’ll also know if you’ve dug into those shows that while like I say he’s a really smart guy, he’s very, very light on near-death experience science. I mean, he just doesn’t know the research. If you want proof of that, go back to the last time that he was on Skeptiko. I mean, he not only failed to back up a couple of his assertions but at the end of that interview, we left it with let’s come back on and have a debate. Steve was going to provide this big list that he had of all of the NDE research that proved his point. When I pre-empted that by publishing, Here’s the research that I think you’re going to publish and here’s how it’s been responded to by the near-death experience researchers that we’ve had on the show, Steve disappeared. I’ve followed up with him multiple times on that and I know he’s busy and all that, but really, when you piece the whole thing together what you see is somebody who’s really not dug into the research and really doesn’t know—there’s really no other way to say it—what he’s talking about when it comes to near-death experience science. Well now, of course Steve’s at a disadvantage here but I’m going to stop apologizing for Steve. I do it all the time when he says these stupid things and then I wind up apologizing for the guy. I’m not going to do it here. Steve, you should have read the book. I read a prepublication version of the book and Dr. Alexander addresses this directly, in great detail. Or at the very least, Steve, you should have dropped him an email as a professional courtesy. I’m sure he would have, as he did to me, provided a written response to your embarrassingly simplistic claim about the extent to which the guy analyzed his medical conditions and the likelihood that what you’re proposing happened. This is really interesting in a couple of ways. First it’s interesting because again, if Steve had read the book he’d find that one of the most amazing things about Dr. Alexander’s experience is that his physician is in the other room with his wife talking about whether they should terminate use of the ventilator and they go in and Dr. Alexander pops out of his coma. He starts reaching for the ventilator tube and starts pulling on the tubes and then his eyes wake up and he starts talking. And in his book you’ll read a letter from his physician that not only says this but says that it’s absolutely stunning and an amazing medical miracle that something like this could happen. So that’s one part of it. Steve just doesn’t know what he’s talking about. But the other part of it that I think is really interesting because it gets to the heart of the skeptical Atheist response here is that why do Steve and these other Atheists because Sam Harris really makes the same point—why do they think that they only have to offer a scientific explanation? Why aren’t they obligated to offer a better scientific explanation? Because hey, by any measure this is an extraordinary medical case. Steve seems to miss that. Steve seems to miss that an E. coli spinal meningitis infection is rare. And for it to take hold of someone out of the blue this quickly is even rarer. For someone to spend six days in a coma and wake up is rarer still. All medical knowledge confirms this. But what’s even rarer is for someone to regain consciousness and have a crystal-clear memory of everything that happened while they were in coma, and for them to go do independent research on near-death experience science and confirm that their experience fits perfectly with thousands of other accounts. So the real question is why in light of all that does Steve feel it’s adequate to provide such a silly explanation for what happened? An explanation that any neurologist, any neurosurgeon, any neuroscientist would laugh at unless they knew that they had to defend it because not to defend it would open the door to the reality of near-death experience. So check me out on that. See if you can find a case of someone spontaneously waking up out of a coma after having an E. coli spinal meningitis infection and then having a crystal clear, vivid memory of what happened during their coma. I think I believe Dr. Alexander when he says there’s no medical history of that ever happening. Again, I don’t know how to counter this other than to say it’s completely wrong. It’s exactly what the book is about. If you read the book you’ll find that’s exactly what the guy did. He dispassionately stepped back from his experience. He didn’t know anything about near-death experience. He didn’t read anything about near-death experience. He went and documented his account as best he could. Then he did as much research as he could as a neurosurgeon, as a neuroscientist, to try and come up with a conventional explanation for this. He talked to many of his colleagues, many of the brightest and well-respected people in the field. He tried to come up with an explanation for this and the best explanation that he could come up with related back to near-death experience science. So again, Steve is being sloppy in his analysis and he winds up being completely wrong. So I read this. Now, first of all, having read Dr. Alexander’s book, again something that Sam Harris clearly hadn’t done, hadn’t read the book, and having interviewed Dr. Alexander twice—again, something Sam Harris has never done, never corresponded with him, never emailed him, or tried to get any kind of clarification. But anyway, since I had this background with Eben Alexander, I knew that Sam Harris was completely full of it. It’s complete nonsense. I mean, lazy reasoning? Here’s a guy in Eben Alexander who spent months devouring every paper he could get his hands on that might explain what happened to him. I already went through and you’ll read in his book and hear in his interview all the things he did to try and understand what’s going on. I mean, if anyone is being lazy here you’d have to say it’s Sam Harris. He didn’t even read the guy’s book before firing off this incredibly incendiary blog post. You’ve got to love the way he starts this—“There’s nothing to debate,” and ends it “End of debate as far as I’m concerned.” Now, this is obviously over-the-top arrogance but it’s more than that. As I alluded to earlier, it’s a dead giveaway that Sam Harris is totally in the dark about near-death experience research. I mean, sure, Dr. Alexander’s case is remarkable. It’s a medical miracle that defies a conventional medical explanation. But what really makes his account so amazing is that it perfectly fits into a larger body of overwhelmingly compelling evidence that concludes that millions of people have had these profound, hyper-conscious experiences at a time when they had no brain. Or at the very least a severely compromised brain that isn’t supposed to work in that way. So if the fact that Sam Harris is afraid to face Eben Alexander in a debate, if that doesn’t make you wonder about the strength of his argument, then the fact that he seems to be completely unaware of the over 65 peer-reviewed clinical experiments that corroborate Dr. Alexander’s experience, well, that should be the clincher in establishing that this is just more political dribble that we’re feeding the Atheist crowd stuff that they want to hear and wrapping it up in a way that sounds scientific or medical. And by the way, if you really want to get into the medical part of this and more formalized arguments that Sam Harris gives and then Dr. Eben Alexander refutes, I would direct you to the Skeptiko website where I posted a write-up that Dr. Alexander has given me in response to Dr. Harris’ critique of the blog. So I emailed Sam Harris and we emailed back and forth and I said, “Hey, if I get a response from Eben Alexander I’ll publish that.” And he was like, “Great. Go ahead and do it.” So that’s exactly what I’m going to do. If you want to wade through that you’ll see these guys are talking about stuff that I don’t fully understand and I could read it into the podcast but I wouldn’t really know what I’m talking about. But I’ll tell you this—if Sam Harris wants to tangle with Eben Alexander, bring it on. And if you don’t want to face him, please don’t tell us that you’re too busy, that you can write these blog posts that take you hours to do and you can’t face off with the guy for an hour. What I think you’ll find when you listen to Dr. Alexander next week and when you read the book and when you read the Appendix to the book where he gives the more detailed medical explanation for what went on, you’ll clearly see who really holds the cards in this case and who’s just blowing smoke. That’s going to do it for this intro to a very interesting interview with Dr. Eben Alexander and this kind of firestorm of controversy that’s sprung up from his book, Proof of Heaven, which I totally understand is a very provocative title. You know they’re trying to sell books so we all understand why they write titles like that but nonetheless, we could have all anticipated it would generate quite a response from the Atheist skeptical crowd. Another point. You know, by the way, I keep saying Atheism, skepticism, synonymous. I mean, do you need any more proof? You have two of the big names in Atheism, Sam Harris, Vic Stenger. You have a big name in the skeptical movement, a JREF director or some kind of title that Steve Novella has. They’re all singing out of the same exact hymnbook. So let there be no debate about whether or not those organizations are virtually synonymous. Anyway, please check out Dr. Alexander’s write-up. Please join us on the forum for a discussion on these topics. The place to reach us, of course, is at www.skeptiko.com. You can link up there to any of our almost 200 previous shows and to a Facebook email link to me, an email link to our forum, or a place where you can just leave a comment on the website. I’m sure we’ll get lots of comments from this show. I know that these are very touchy, sacred items for a lot of Atheists and skeptics and the only way we can make progress is by confronting these issues head-on and really hashing out different opinions. So that’s it for this week. As I just mentioned, we’ll be back with the full interview with Dr. Eben Alexander next week. Until then, take care and bye for now. Atheists and others demonstrate their dogmatic reliance on their own belief systems when they attack without asking questions. They end up undercutting their own credibility as much if not more that their own targets. Regarding Harris, his previous attacks on Islam show he is as bigoted as any religious true believer. There is a place for religious belief, a place for atheism, and a place for agnosticism. None of those places include reducing themselves to the others by attacking them. I watched the Youtube video featuring Dr Alexander’s NDE two years ago. I’ve also listened to the Skeptiko podcast wherein Sam Harris seemed to had stumbled into the wrong debate before announcing ‘Well no more time for this, I’ve a tennis match’?! I’ve also watched the Monroe Institute’s broadcast of the very thoughtful and reasonable account and musings on the phenomena by Eben. What strikes me most about skeptics such as Harris et al’s virulent attacks on psi in all it’s forms is, why? Why the vitriol? If you don’t buy it then move on. Please. We also need a serious alternative to the word ‘religion’ by the way. Perhaps all this vitriol is because the whole story of Dr. Eben Alexander is unassailable. A middle-aged neurosurgeon in great physical condition, with high-quality credentials, certainly very comfortable financially, who has the method, knowledge, and language to evaluate and present his whole experience in the best possible way. Dr. Alexander did not consider his “reputation” and “the people will think meningitis made me crazy” and such. He took all the risks to be absolutely open with EVERYONE, including his medical colleagues, knowing that all the medical details of his coma are documented in his chart and so many doctors and others know them. Yet the “vitriol-throwers” do not hesitate to imply that this reliable scientist is a liar, and a poor neurosurgeon who could not asses his own condition from reading his chart afterwards, BUT THEY CAN, FROM A DISTANCE. Surprisingly, it is such baseless reactions of the “vitriol-throwers” that expose them; that they will say anything in order to preserve their status quo. In this they have not changed at all from the time they almost executed Galileo, simply because his proven-now truth upended their belief system. Fascinating commentary, and I feel privileged to absorb so many diverse opinions. I happened upon this site by a (one of dozens, actually) side search for deeper info while still currently reading “Imagine Heaven” on my Kindle, which had a brief reference to Dr. Eben Alexander on page 98. Just the few-sentence description of his personal experience intrigued me to the extent that I have now spent almost 90 minutes delving into his side-story, those opposing his experience, and the obvious (and triumphant!) realization and conclusion that the afterlife IS REAL! So cool. Too late to go back to my book tonight, but I expect some richly rewarding dreams tonight!